Great thing #1. The Bahamas was selected by NorthStar Meetings Group to host this pinnacle annual event. Great thing #2. Events Design @ Sea powered by Cacique International, was selected to curate the experience, while Cacique International would host the entire project from the meet & greet, to airport transfers and all events, including project staffing. 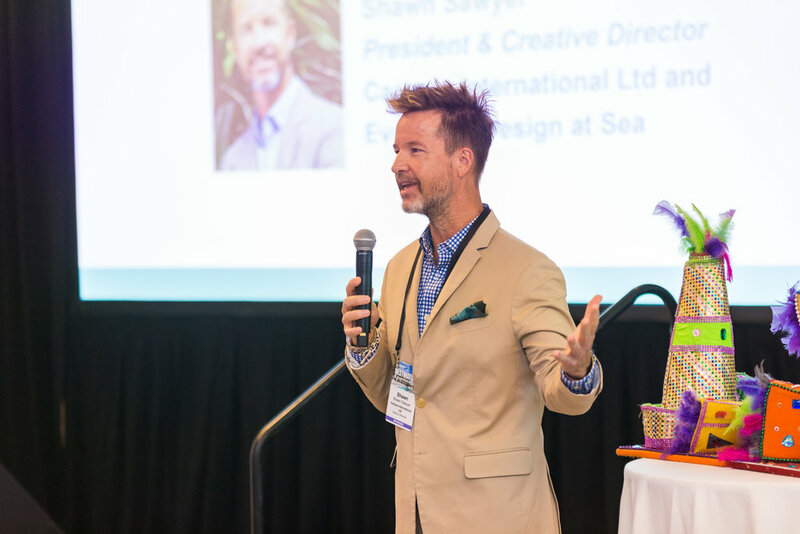 This three-day MICE market extravaganza was held at the stunning SLS Baha Mar but extended across multiple venues including Atlantis, Sandals Royale and Baha Mar’s very own Rosewood and Grand Hyatt. Great thing #3. As The Bahamas premier DMC, Cacique International would also attend the event, a unique opportunity to witness the “Cacique Magic” at work from the perspective of an attendee, with the added honour of being invited to speak on the subject of creating unforgettable events in our stunning island nation. The principles are straightforward - connect, learn and enjoy. 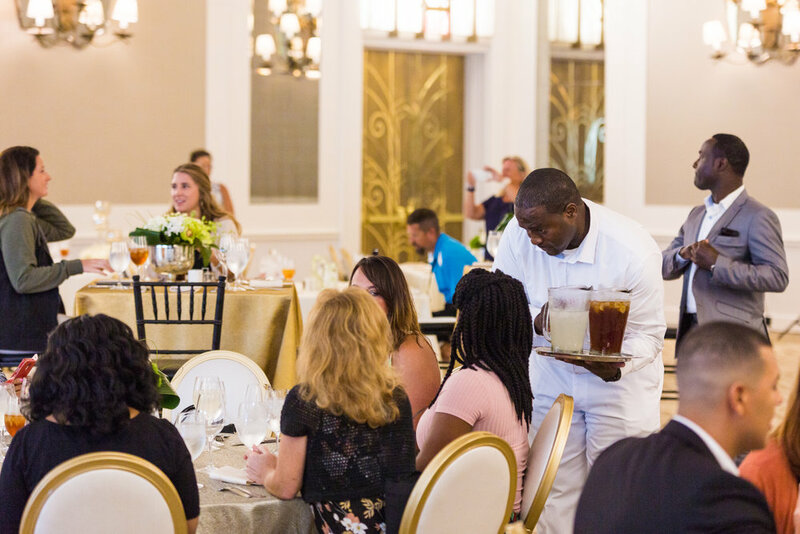 Destination Caribbean offers invaluable business connections, targeted education with world-renown guest speakers, and unforgettable experiences - all while enjoying the beauty and natural splendor of the Bahamas. This remarkable event, hosted by Northstar Meetings Group’s leading brands—Successful Meetings, Meetings & Conventions, and Incentive Magazine - in partnership with the SLS Baha Mar, was another perfect canvas for Events Design @ Sea powered by Cacique International. The three-day, action-packed itinerary did not disappoint - mornings of inspirational meetings followed by lavish lunches, afternoon excursions including The Rosewood, Atlantis Resort, Sandals Royal Bahamian and the downtown Nassau straw market, all shaken off with a night of dancing at SLS’s very own BOND, Nassau’s hippest nightspot. It’s all about the who’s-who in this business. The SLS-hosted, Events Design @Sea-curated experience brought together the industry’s top movers & shakers. 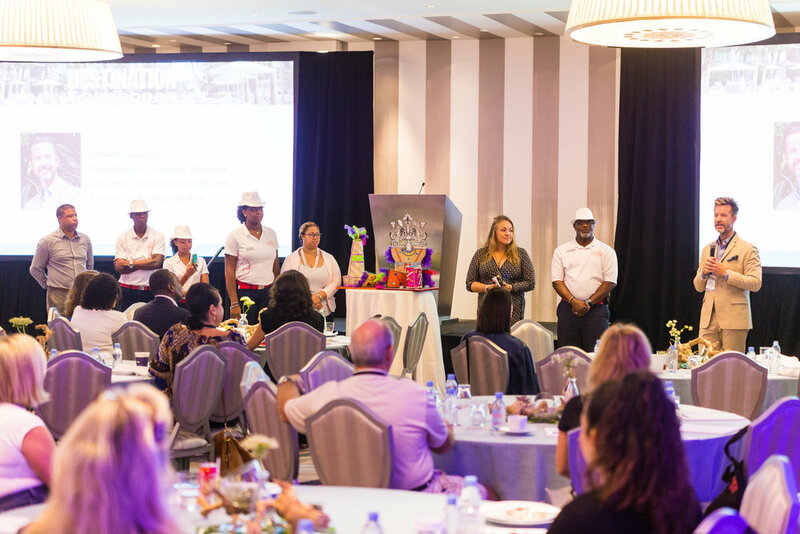 This was an invaluable opportunity for attendees to connect with the top hotels, CVBs, DMCs, and venues from across the Caribbean in one-on-one appointments, and unique experiential networking events. Participants heard from guest speakers Dennis Brouwer - who delivered a remarkable stance on high-performing teams – how they work, how they’re different, and how they seem to achieve the impossible - and our very own Arlene Ferguson exploring the cultural roots of our colourful and truly-unique Bahamian culture. As for the “who” in charge of the event, Events Design @ Sea powered by Cacique International was honored to orchestrate this unmatched experience with our unique blend of creativity and enduring promise to go beyond the expected and into the world of the extraordinary. An Atlantis chef explaining his dish to inquisitive attendees. A vibrant evening spent at Atlantis. “Just Imagine” is more than a tagline for us at Cacique International. As event designers, we trade in imagination. We ask our clients to imagine the possibilities, then use our 20+ years experience as The Bahamas’ premier DMC to bring this vision to life and create an experience that transcends all expectations. This is what we call the Cacique Magic. The magic is composed of a myriad extra touches that take an event beyond what was expected and into the realm of the extraordinary. Extraordinary for the client and guests, not only in venue, design, décor and entertainment, food and beverage - but equally-importantly in the ease of flow of the narrative, the invisible but essential threads that make the magic happen all around them.